Emerson Ten OÜ is a production factory specialising in the production and sales of point-of-sale marketing and campaign materials. Emerson Group’s annual turnover in 2014 was about 5.5 M €. Our production facilities are located in Estonia and in the United Kingdom to serve customers from all over Europe. We serve in 12 countries. 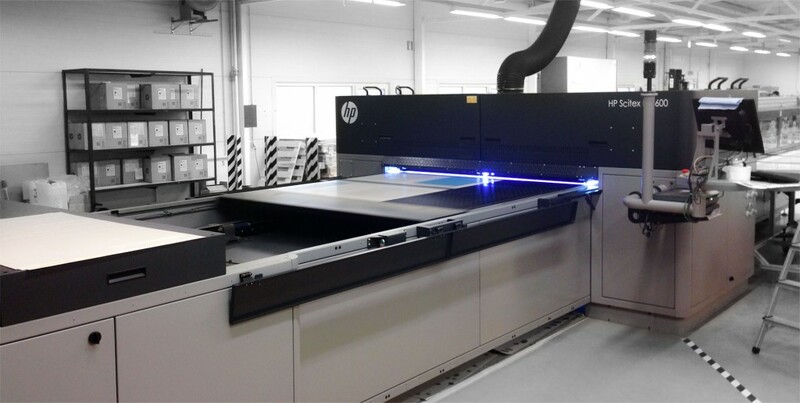 We use a digital flatbed printing machine that represents the latest technology with the maximum printing area of 3200 x 1600 mm and printing speed is of approximately 500m2 an hour. Our after-treatment devices serve all the modern needs and quantities varying from one unit to tens of thousands. Our digital technology has enabled us to manufacture to small quantities industrially. We are also able to customise and personalise large sets without a significant cost increase. You can order products when needed. It is not always necessary to buy products in stock to achieve the volume advantage. A good example of this can be considered as its own Eazzy® displays. We produce those monthly about 20,000 pieces, when the entire series are from one to a few thousands. Mass customisation is now possible also in the printing industry, offering more possibilities to everyone!